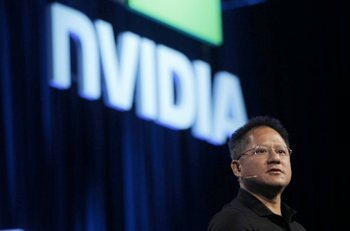 Nvidia has made an important move to strengthen its position in the mobile processor space with the acquisition of Icera, which makes baseband processors for 3G and 4G smartphones and tablets. The $367 million deal was announced back in May, and now that it has cleared all regulatory approvals Nvidia can offer the two main processors used in smartphones -- the applications processor, in the form of its Tegra SoC, and the baseband processor, based on Icera technology. This will make it easier for OEMs to satisfy their requirements for next-generation mobile products by having to work with one less company, while almost doubling Nvidia's revenue opportunity within each device. The market for baseband processors is one of the fastest growing in the industry, worth an estimated $15 billion in 2010. Nvidia says no layoffs will result from the acquisition and Icera will continue operating in its U.S. and Europe offices. The move also opens the door for Nvidia to combine both processors onto a single integrated chip, though there are no immediate plans for that according to the company's CEO Jen-Hsun Huang. Nvidia's competitors have been busy snatching up complementary businesses to offer comprehensive communications technologies as well. In August 2010, for example, Intel acquired Infineon AG's Wireless Solutions Business group for $1.4 billion -- the company provides chips for Apple's iPad and iPhone 4, along with several other high-profile handsets. Meanwhile, Qualcomm purchased Wi-Fi chipmaker Atheros Communications for $3.1 billion earlier this year, and Broadcom moved to gain a stronger foothold in 4G by acquiring Beceem Communications.